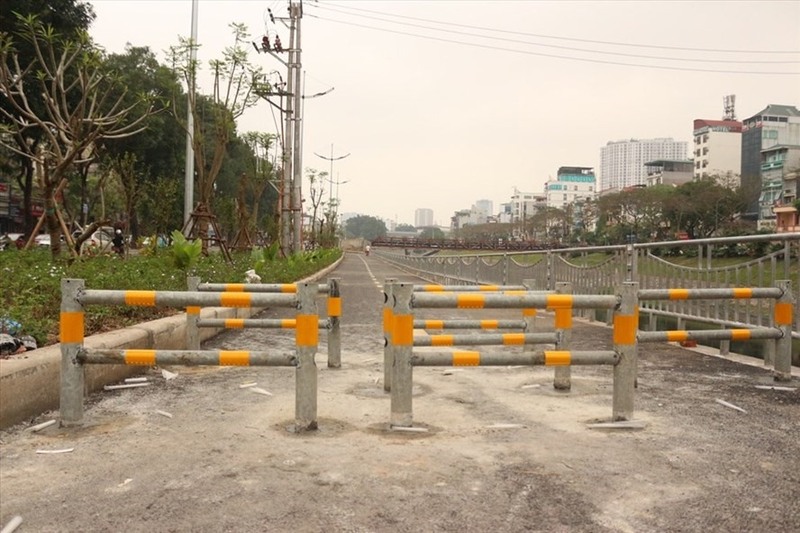 HÀ NỘI — The opening of a pedestrian street along the Tô Lịch River in Hà Nội over the past week has been welcomed by local residents as a new space for them to exercise and relax. The 4km street, the longest in the capital, is expected to create a clean and beautiful urban landscape in the area. Many people have been seen walking on the street in the morning and afternoon. However, a lot of motorbike drivers have used it at rush hours too. Barriers have been erected since Friday to stop them from using it. The barriers have been effective, in fact perhaps too effective as they have forced cyclists to pick up their bikes to pass, while those in wheelchairs can’t pass at all.